Firefox does an excellent job of storing the contents of data entry fields on web pages and the Location Bar and the Search Bar. Autocomplete drop down lists that appear so that it can prompt you with suggestions the next time you want, say, an address line, telephone number, post code or other common entries. It is a great timesaver. Sometimes, though, you need to remove an entry that is incorrect, old, private or just embarassing. Highlight the entry you want deleted by using the arrow keys, page up or down keys, or hover over it with your mouse to select it. Thats all it takes to remove an autocomplete entry. 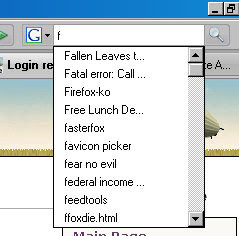 You can delete all your autocomplete lists from Firefox. 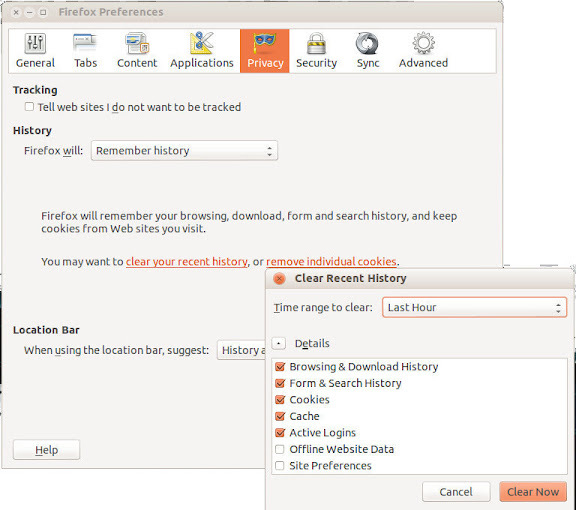 Navigate to Edit > Preferences, then in the Firefox Preferences dialog, select the Privacy tab and to to Clear Recent History to bring up the option box for the items to clear. Checking Browsing & Download History will clear the Location Bar autocomplete as well as your history.